Looking for an in depth presentation on the recent Cameroon Ancestry Reconnection Program? Look no further! Here are some presentations that are taking place in the Bay Area. Monthly meeting of the African American Genealogical Society of Northern California,Oakland Public Library's Dimond Branch, at 3565 Fruitvale Avenue, Oakland, CA. The meeting is held upstairs. 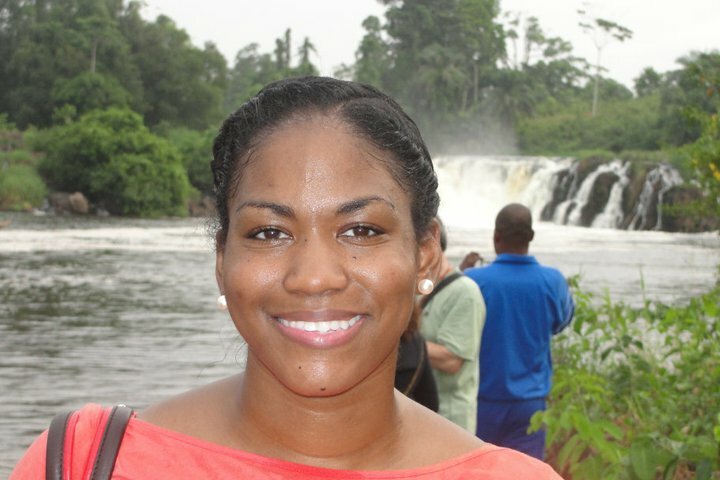 Nicka Smith at Chutes du Lobe near Kribi, Cameroon, January 4, 2011, courtesy of Regina Jackson.